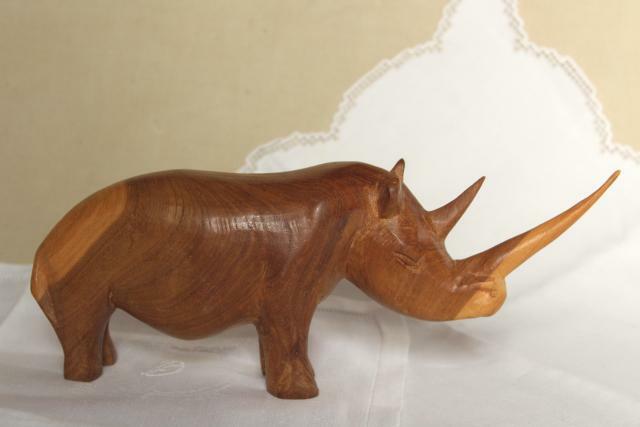 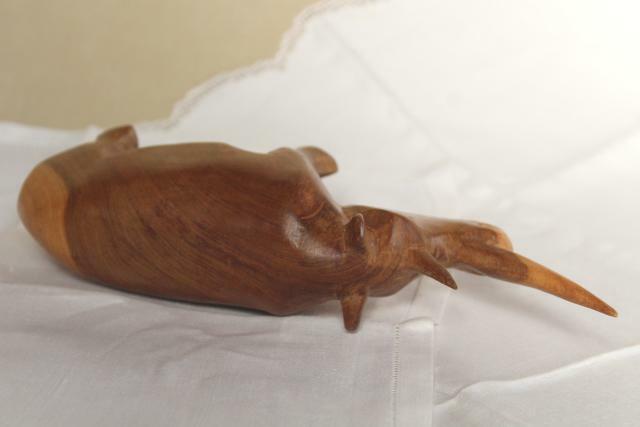 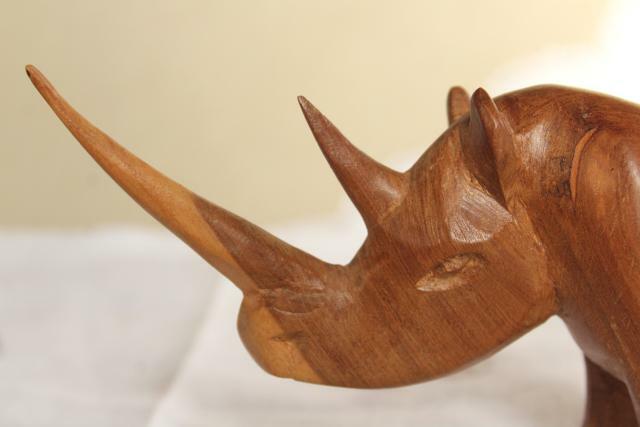 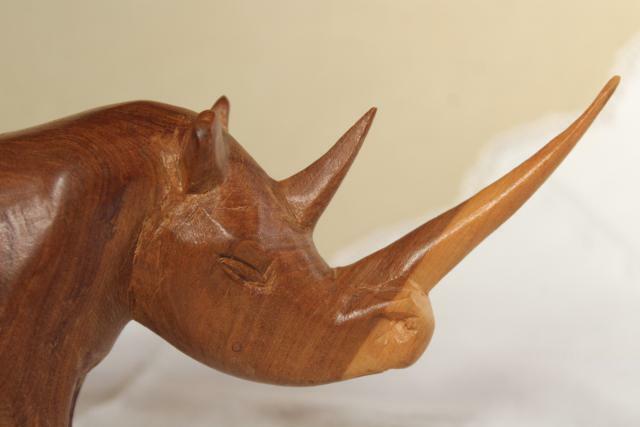 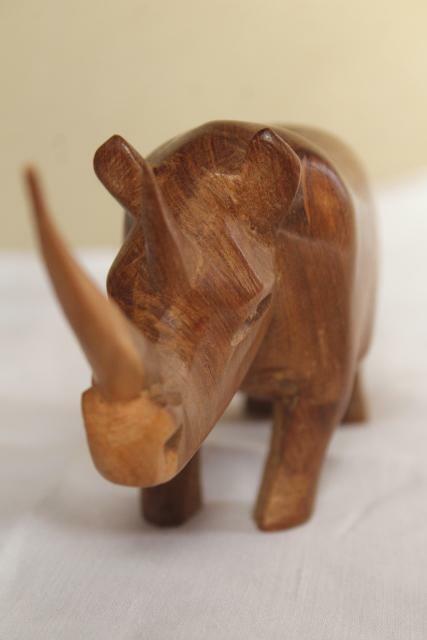 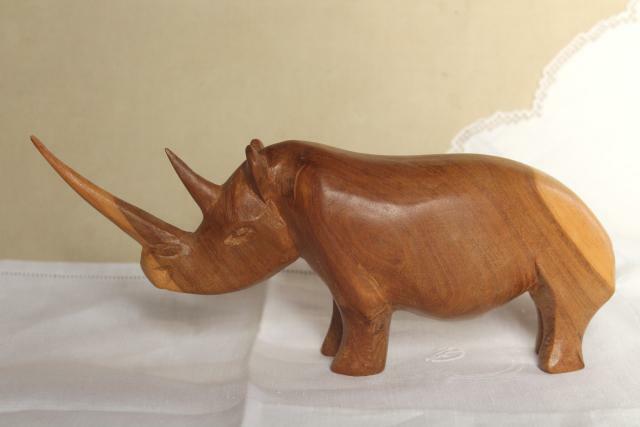 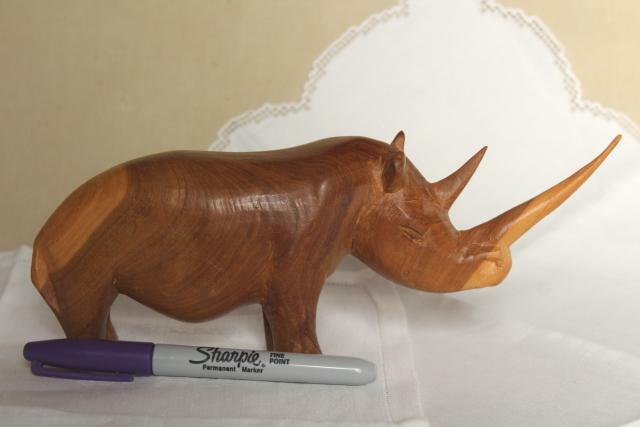 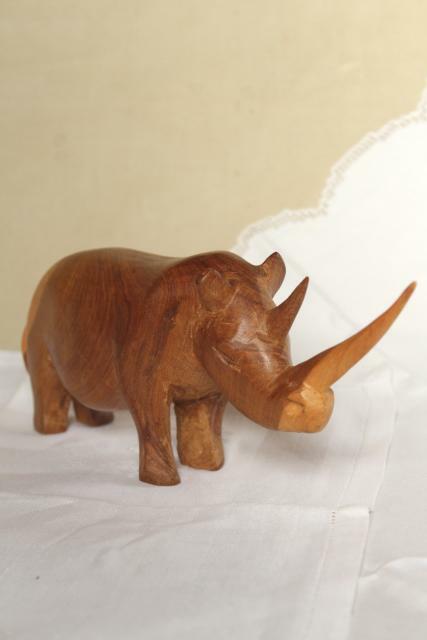 Handmade vintage wood carving of a rhino... we love this piece, it made us think of Sudan the white rhinoceros. 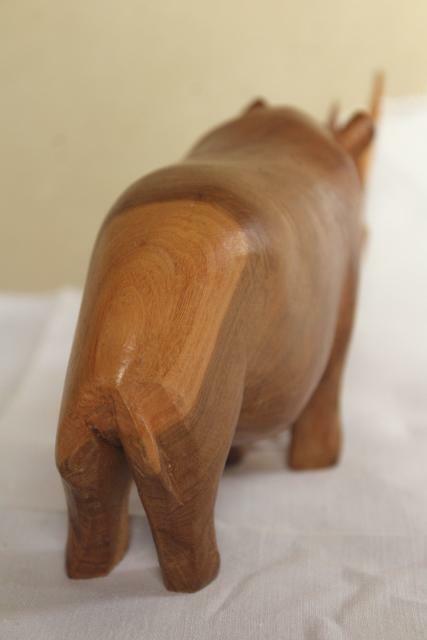 It's not marked or signed that we could see, made in India or Africa? 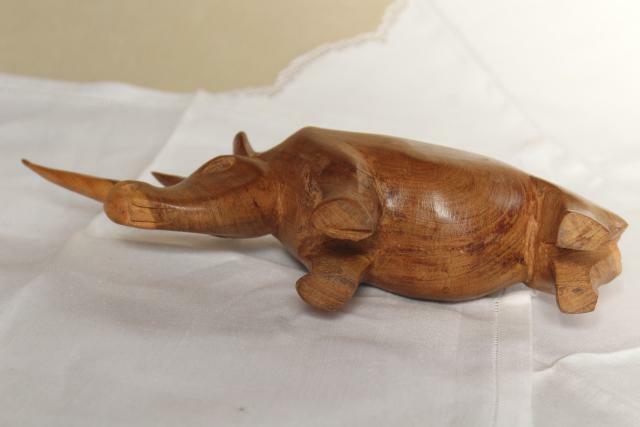 This measures about 9 1/2" long x 4" tall.